and born of virgin Mary. We at C.B. Helping Hands Ministries stand on the promises of God. In God’s word; He said he would do a new thing. CBHHM/Movement is that new thing. We are the change that we wish to see in this lost and dying world. We will reach the lost at any cost. We are God’s Hands of compassion here on earth. We are a worldwide movement; to spread the gospel of Jesus Christ all over the world. Our mission is to sow the hope of Jesus Christ in the hearts and minds of a hurting people, to allow the holy spirit to revive our souls with rivers of living waters; and then flow through us to a dry and thirsty world. Our goal is to reach the lost and hurting, empower men and women to achieve lifelong successes. We will assist in bringing down poverty levels, as well as meet the spiritual, physical, and emotional needs of men and women in our community; and then the world. We will encourage men and women to grow in faith. We are committed to those who have been wounded physically, spiritually, and emotionally. We will bind up their wounds, and minister God’s healing words to their broken souls. We will speak healing to their wounds with the love of Christ, as well as nurse them back to health in all areas of their life…. Come Join Us As We Lift And Praise God……. Our mission is to sow the hope of Jesus Christ in the hearts and minds of a hurting people, to all the Holy Spirit to revive our souls with rivers of living waters, and then flow through us, to a dry and thirsty world. Our goals are to reach the lost and hurting; to empower men, and women to achieve lifelong successes, higher education levels, self-worth, and values. We will assist in bringing down poverty levels, as well as meet the spiritual, physical, and emotional needs of people in our community, state, and world. We will teach them their resources, provide a full education assistance department with resources to help them succeed, encourage, train and equip. Our World-wide Mission: In short is to spread the gospel of Jesus Christ, kingdom building is what we are all about. We minister to the social, spiritual, and physical development of all people around the world. God’s mission in the world is also God’s purpose in Christ is to reconcile all things to himself. To save the lost at any cost. We the church are the body of Christ in this world. Jesus lives on the inside of us, The Christ in us, because we are the body of Christ in which this world will know Jesus Christ is Lord. We must fulfill the mission of God to reconcile all things to himself, so God sends us, the church into the world t spread the gospel, to evangelize, to proclaim the good news of the kingdom of God, and to embody in its corporate life the message of reconciliation. To be about our heavenly father business, kingdom building, and the edification of our Lord and savior Jesus Christ. Our Vision: To reach the lost at any cost. To build the kingdom of God around the world. To serve the needy, and be God’s hands of compassion around the world. Are to reach the lost and hurting, to empower men and women to achieve lifelong successes, higher education levels, self-worth, and values. We will assist in bringing down poverty levels, as well as meet the spiritual, physical, and emotional needs of people in our community, state, and worldwide. We will teach them their resources, provide a full educational assistance department with resources to help them succeed, encourage, minister, teach, and assist those in need. Information provided for battered women to get the much-needed help they deserve. We reach out with God’s hands of compassion to the needy. We work with troubled youth, the elderly, homeless, single mothers, and more. We strive to become the change that we seek for this world. By touching one life at a time. We teach train and equip leaders, then release them to do the same. Our Purposes: is to make available to all men/women/boys/girls God’s biblical principles, spread the good news/ the gospel of Jesus Christ around the world, provide education, equipping, training to enhance social development for all people. Our Objective: CBHHM/Movement shall train, equip, and release leaders to do the same. We will implement new strategies/plans to train leadership, and all members in Christian discipleship, Christian leadership, CBHHM teaching methods, and material, God’s biblical principles, and how to make a difference in the world in which we live…..
C.B. Helping Hands Ministries is a movement of God that touches and transforms lives all over the world, one person at a time. At C.B. Helping Hands Ministries, we have been helping members of the community. with our Community Outreach, and world Ministries. We understand that you cannot control the hurdles that life throws at you, but we can help you to overcome them with grace and poise. Once you have the peace and contentment to overcome the struggles of life, you will be able to progress in your walk with the Lord. Our movement has been helping people just like you tackle the hurdles in their everyday lives. Just because you cannot prevent a hurdle from being thrown at you, that doesn’t mean you have to let it bring you down. It is up to you to take control of everything that happens in your life. With our help, you will be able to overcome anything that comes along. The knowledge that you can do all things through Christ that strengthens you..
We believe in the fivefold ministry. 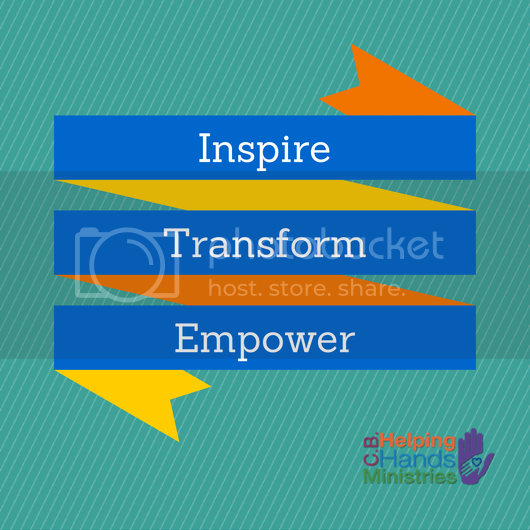 CBHHM is a worldwide ministry/movement based on biblical principles. We have the following: Apostle, Bishop, Elder, Minister, Pastor, Teachers, Street Minister, Evangelist, Trustee, Prophets, Steward, and Lay persons. “We reach out with God’s hand of compassion to the needy”. We strive to become the change that we seek for this world by touching one life at a time.